“This was by far the Best Awards Show we have ever produced in 26 years! The stars that flew into Tampa Bay were amazing and the stage acts were simply fantastic! It was really something seeing all the talent we had on our stage … fire acts, acrobatics, swinging hoops, beautiful costumes, rappers and of course the male dance review that had the girls screaming … it was one hell of an evening. Check out our Instagram page for tons of photos and videos (#NightMovesAwards),” said Paul Allen NightMoves Multi-Media President. 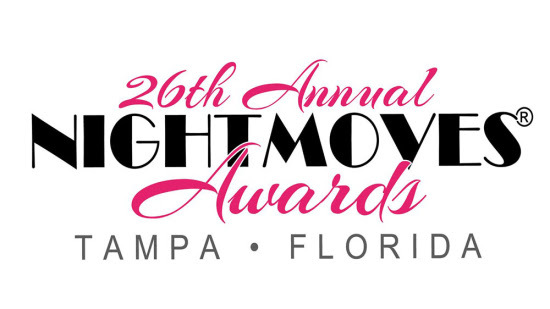 NightMoves Magazine started in 1988 and the first NightMoves® Awardshappened in 1993. It is the third oldest and continuously running adult awards show in the United States, trailing only the AVN Awards in Las Vegas and the “industry only” XRCO Awards in Los Angeles. To be considered eligible, a movie had to have been released between June 16, 2017 and June 15, 2018. Individual Awards are based on this same time frame except for the “New Starlet” category, whose performances between January 1, 2017 and June 15, 2018 qualify.